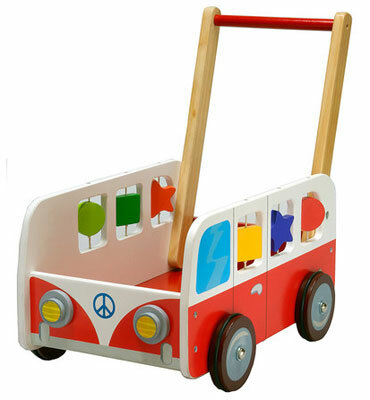 Not only is this Camper Van-style Wooden Push Buggy by Dushi rather cool, it’s also discounted for a very short time too. As you might have guessed, this is a push toy, one styled on a VW Camper Van, but with a more than just good looks on its side. This wooden push buggy is great for carrying toys around the nursery and is also designed to help children to walk and encourage motor development. There’s also an adjustable handlebar to help it adapt to different sizes. Good for ages one and up, it’s usually £67, but is just £39.99 for the next couple of days.